Thrift stores can be a bit hit and miss, yet occasionally you stumble across a total gem. 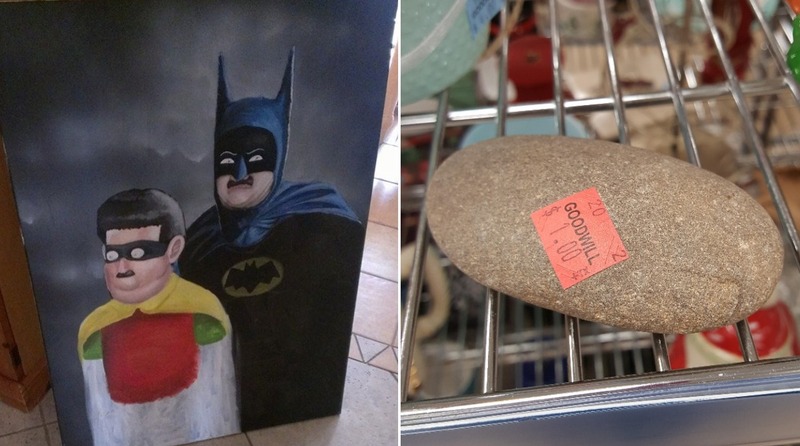 We’re not talking financial bargains, though, but rather objects that are just so ridiculously hilarious that they could only be found in second-hand stores. From crazy paintings and weird furniture to cool clothing and awesome ornaments, these items were found by some extremely lucky people.